The following ad appeared in the May 15, 2014 edition of USA Today. 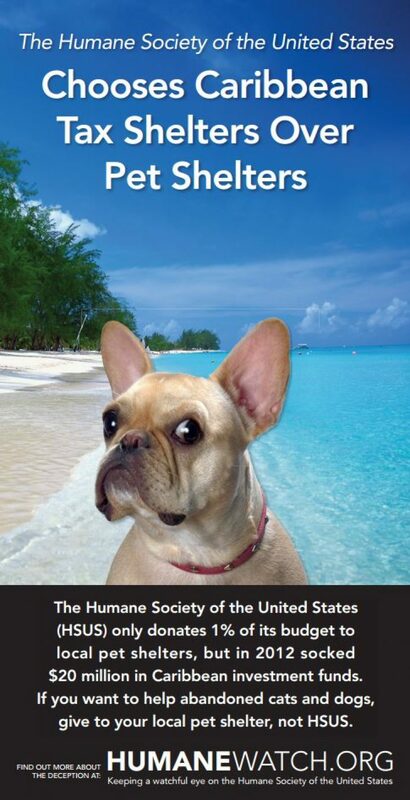 For more information about HSUS sending money to the Cayman Islands, see this article. Download the ad.